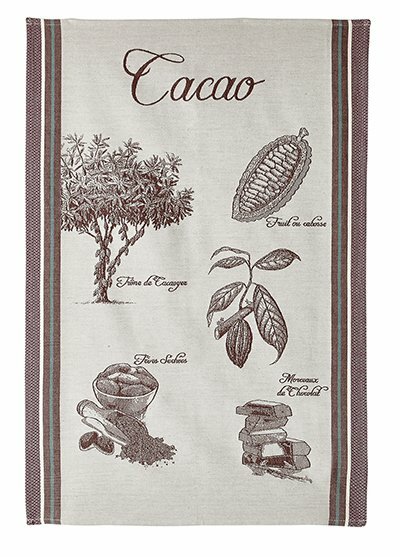 This 100% cotton French tea towel by Coucke features the cacao plant with its cocoa beans. Woven pattern that will last hundreds of washings, or if you think it is too pretty, use it as a cafe curtain, runner, or hang it on the wall. Size 20.5" x 30"